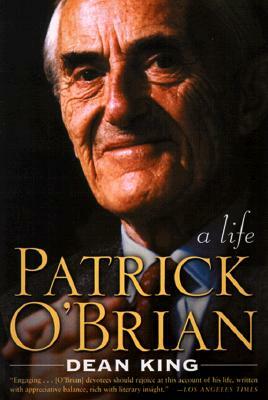 In January 2000, Patrick O'Brian died in the Westbury Hotel in Dublin, Ireland. Like his life, O'Brian's death was marked by secrecy and confusion, sharpening the curiosity of his many readers who for years have speculated about the man behind the beloved Aubery-Maturin series of novels. Dean King at last unveils the story of Richard Patrick Russ, a writer and intellectual who emerged from the Second World War as Patrick O'Brian, a persona created by his imagination and refined over decades. To research this book, King crisscrossed Europe to speak to long-lost relatives, friends, and colleagues of his famously reclusive subject; now he has fashioned this wealth of information into a dramatic and compelling narrative. As King meticulously examines the events of O'Brian's life, he deepens and enriches our understanding and appreciation of O'Brian's work. Dean King, an authority on nautical literature and history, has written eight books, including A" Sea of Words, Harbors and High Seas, "and "Every Man Shall Do His Duty."